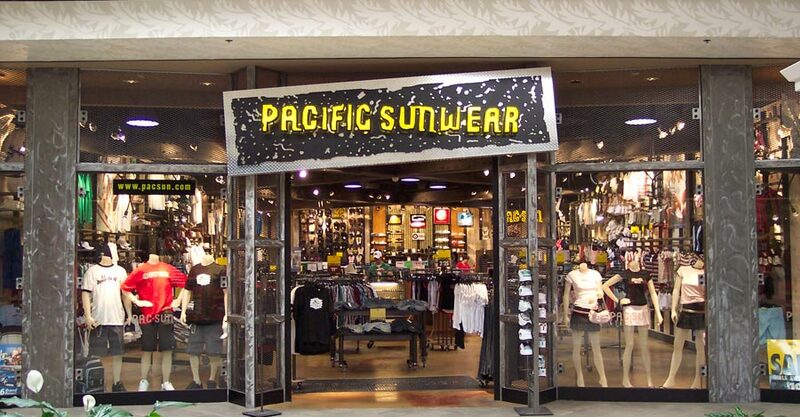 According to Bloomberg and others with knowledge of the company, Pacific Sunwear (ticker: PSUN) is preparing to file for Chapter 11 bankruptcy protection. Are brick and mortar shops doomed? Is consumerism on the decline after a less than stellar year? Or is this just karma after releasing a line of clothing by the Kardashians? Its stock price fell 78% today to 0.07, and things are not looking good. So if a strip mall surf store vanishes, does anyone hear it scream? Or is that just the sound of the Hollister store expanding into the newly vacant space? You know Summer is just around the corner when the big companies start releasing their new boardshorts. Body Glove just release Jamie O'Brien's new signature shorts and they look real slick. You can never have too much camo, and the rasta color stripes throw in just enough of that aloha spirit so you don't look too scary. The main feature is the 360 degree waistband to ensure they stay on. O'Brien changes Pipeline on everything from normal boards to Costco soft tops, it's no wonder his shorts have a hard time keeping up with him. The shorts are a bargain at $45 currently on Amazon and local surf shops. The ASP is now the WSL (World Surf League) and the first stop on the tour is in the books. 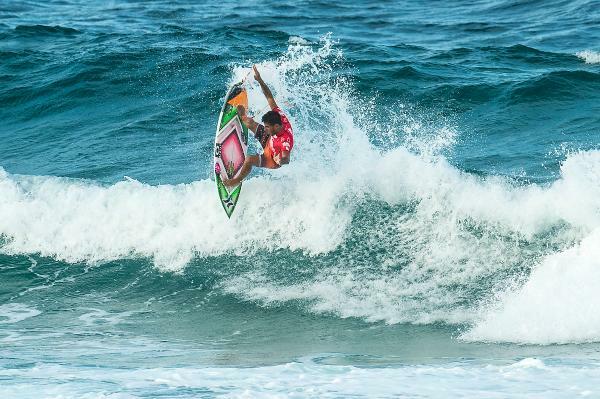 Brazil's Filipe Toledo took out Julian Wilson (AUS) in the final by scoring a near perfect score of 19.60 out of 20 in lackluster conditions at the Quiksilver Pro Gold Coast. Toledo scored one perfect 10 ride by ripping a few fins out, off the lip smacks and ending with a spinning reverse before the wave closed out. Even more impressive is the Brazilians knocked out the favorites; Italo Ferriera (BRA) eliminated Kelly Slater (USA) in round 3, and Adriano de Souza (BRA) eliminated Mick Fanning (AUS) in the quarterfinals. Adriano de Souza also eliminated Freddy Patacchia (HAW) in round 3 since Freddy couldn't catch one decent wave to post a good score. Freddy took out his frustrations on his board by doing a hard ollie onto a rock as he came in from his heat (see vid below). It went viral and #Freddysrock was born. His good spirits returned the next day and gave a free surfboard to @harleywalters to posting the best pic on #Freddysrock. A nice reminder that the win or lose, all these surfers are really great to their fans. 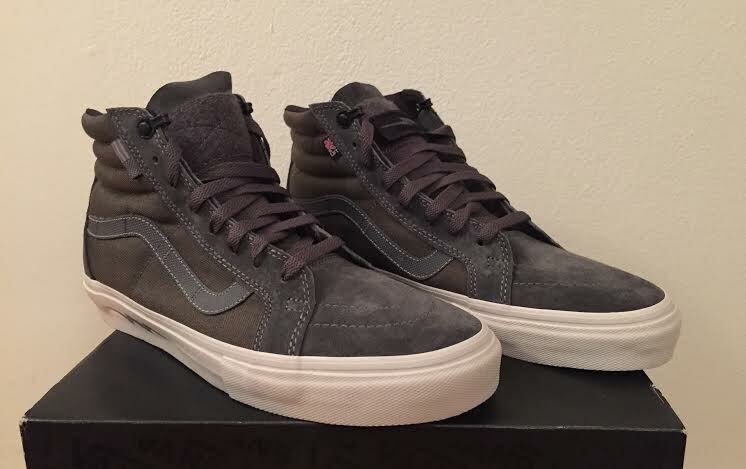 This Veteran's Day, Vans released their second collaboration with LBT Inc. and the DEFCON Group. These shoes are badass and will make anyone feel like their about to embark on a classified mission. 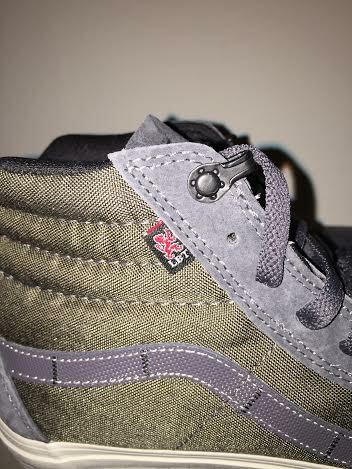 The colorway is a deep green canvas with MAS (Maritime Assault Suit) Grey suede. MAS Grey was developed by LBT for night time assaults for units such as the Navy SEALs. The tongues have velcro patches that can fit 1" x 3" moral patches, allowing you to customize their look (1 lightning bolt patch is included). They also have the LBT logo tag on the inside stitching and a subdued American flag on the outside. 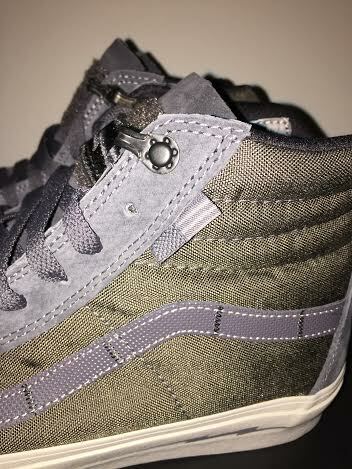 The soles have an inverted waffle tread which stick out, and provide much more grip than the usual flat waffle pattern on Vans. 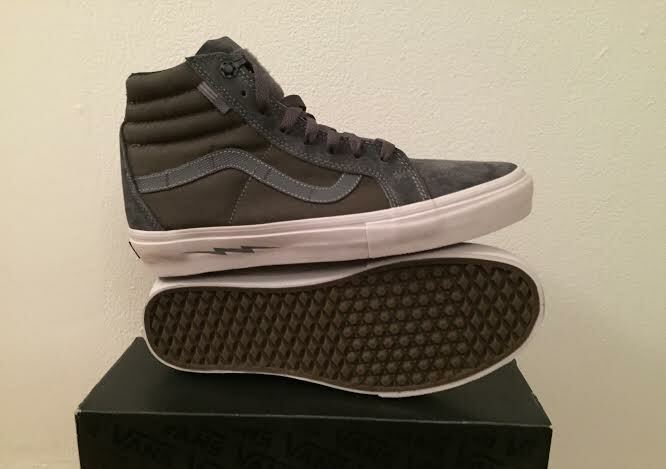 They were released in very limited numbers to Vans Syndicate dealer stores. 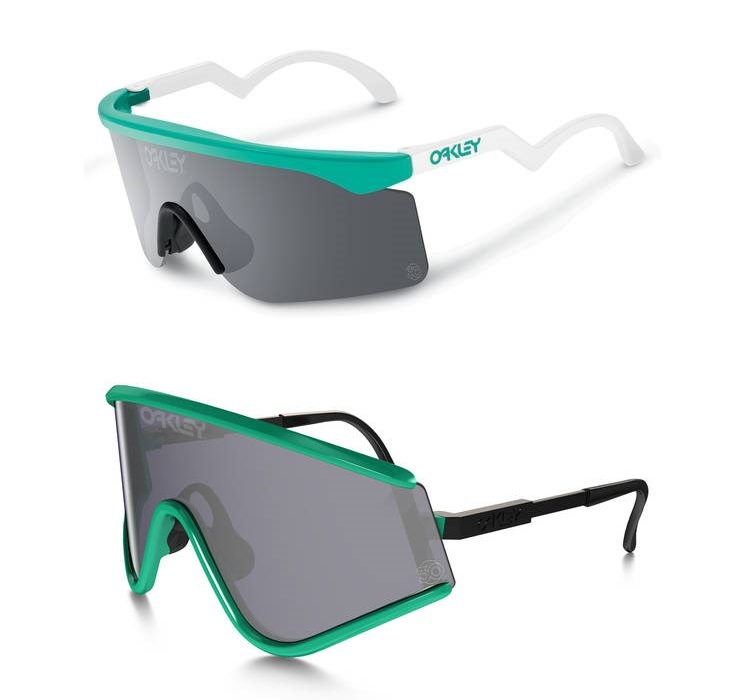 So if you didn't pick up a pair already, your only option is ebay. Would You Ride the Same Board in Surf and Snow? That's right, ride the same board on water or snow. Chemically its all H2O, but will it function in both arenas? The mad geniuses at Signal Snowboards and Surf Prescriptions have created the first modern surf/snowboard. Once they realized it would float, there was no doubt that this split personality board was a reality. And who better to test it in the ocean than the always progressive and stylish, Rob Machado. Words can't do this justice, just watch the video. The Vans US Open of Surfing kicked off this week in Huntington Beach, CA. Although it is part of the QS (Qualification Series) and won't affect any standings on the World Championship Tour, many WCT surfers still compete in the event. Unfortunately Kelly Slater announced today that he will not be competing due to a prior shoulder injury. Hopefully he will be rested up and healthy for the next WCT event on August 15th at the Billabong Pro Tahiti. ASP to Open NYC Office. Kelly Slater & Pro Surfers descend on New York. We'll report more as it comes in but the ASP announced it is opening a New York office headed by Mark Noonan. Kelly Slater, Coco Ho, and many other surfers are in town today on the Today Show and CNBC to talk about the new venture. Full press release is here. What started out as possibly the biggest April Fools prank ever, turned out to be real when multiple press releases confirming the news on April 2. 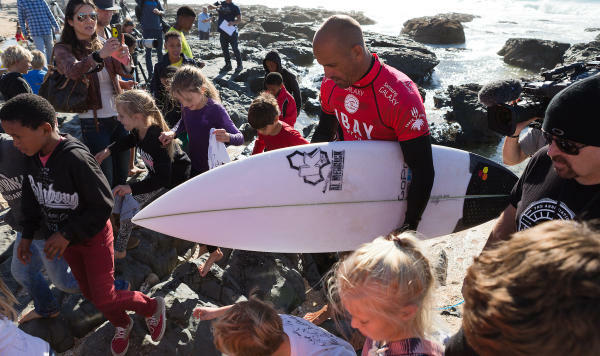 Kelly Slater has left his main sponsor, Quiksilver. So what's next? Slater will be starting his own clothing brand under the parent group Kering. Kering owns luxury brands such as Gucci and Alexander McQueen, as well as sport/lifestyle brands like Volcom, Puma, and Electric. Slater's new, yet to be named brand will focus on sustainability and clothing made from recycled products. The actual material will be supplied by REPREVE, who also supplies recycled polyester fabric for Volcom, The North Face, and Patagonia. Could this be Slater's most memorable year ever? Imagine him winning a 12th world title with no major sponsor. While at the same time starting his own brand that will surely be sponsoring surfers in the near future. 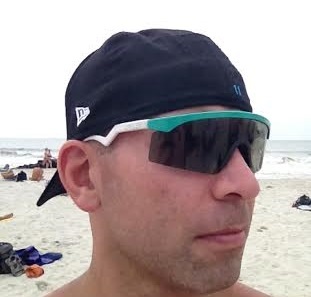 At this point, he has proven the only limits are the ones he sets himself. The 2014 season has begun, Slater is back and looking for his 12th world title. The ASP and ZoSea Media have finally put the the streaming contest video on the ASP website, aspworldtour.com, (instead of having to go to each contest sponsor's website). It took a decade for them to figure out that 1 website to view all contests was a good idea? Someone give the ASP/ZoSea the 2014 Captain Obvious Award. Slater, Fanning, Flores, and Logie are all surfing strong. Round 3 should continue tomorrow, when the eliminations will start and the fun really begins.